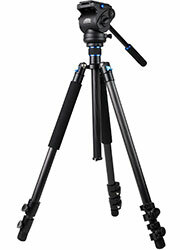 The ideal support for lightweight cameras. 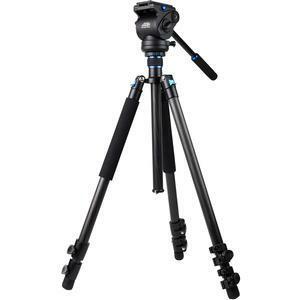 The Davis & Sanford 65" Traverse TR653C-V9 Carbon Fiber Tripod with Video Fluid Head is perfect for DSLRs, mirrorless cameras and video cameras. 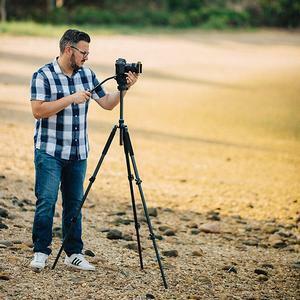 The 8-layer carbon fiber legs with both carbon fiber and aluminum components enable this tripod to hold up to 9 pounds, and two legs are foam cushioned for a comfortable grip. In addition, a center post hook allows for hanging equipment or adding weight to increase stability. 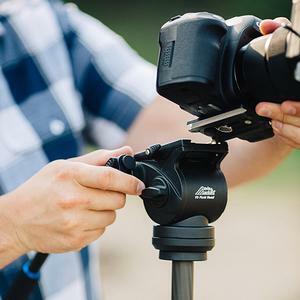 The fluid head with separate pan and tilt locks gives you more control and smooth motion when shooting or filming, while the balance quick release plate makes switching out cameras between shooting quick and easy. 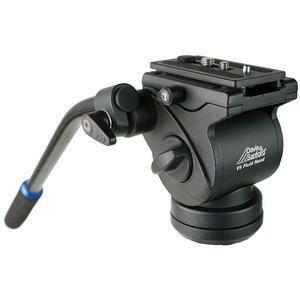 Suitable for DSLRs, mirrorless cameras and video cameras up to 9 lbs.